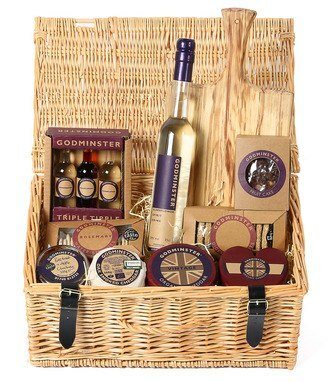 This truly sumptuous hamper from our friends at Godminster is full of specially chosen Godminster goodies - the perfect accompaniments to freshly baked Sharpham Park bread. Enter your details in the form below to be in with a chance of winning this lovely hamper and we’ll choose one lucky winner on Friday 31st May 2017. Terms and conditions: Entries close on Wednesday 31 May 2017 at 12pm when one winner will be selected at random. The competition is open to UK residents over the age of 16 excluding employees and affiliates of Sharpham Park and Godminster Cheese. One winner will win the Godminster hamper pictured. The prize is non-transferable and has no cash alternative. The prize will be posted to the winner by Godminster Cheese, using postal address supplied by the winner. The name of the winner may be shared on Sharpham Park and Godminster Cheese's social media pages and other publicity. Sharpham Park reserves the right to change or withdraw the competition at any time and for any reason. By entering the competition, you are agreeing to these terms and conditions. We may share your information with select, trusted third parties, unless you inform us otherwise by email to info@sharphampark.com. For more information, please email info@kilvercourt.com.